SFX Machine Pro, Other effects bundle or multi-effect from The Sound Guy. 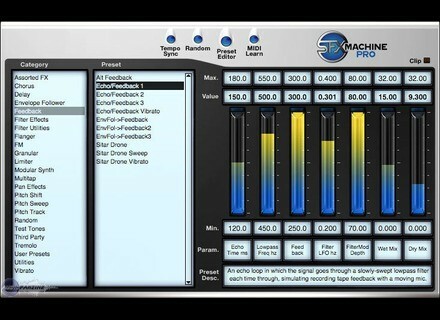 The Sound Guy has announced that SFX Machine, the multi-effects and sound design tool, is now available in the RTAS plug-in format for Digidesign's Pro Tools systems for Mac OS X and Windows. SFX Machine Pro provides quick and easy access to hundreds of audio effects, from the conventional to the bizarre. * A modular synthesis preset editor. 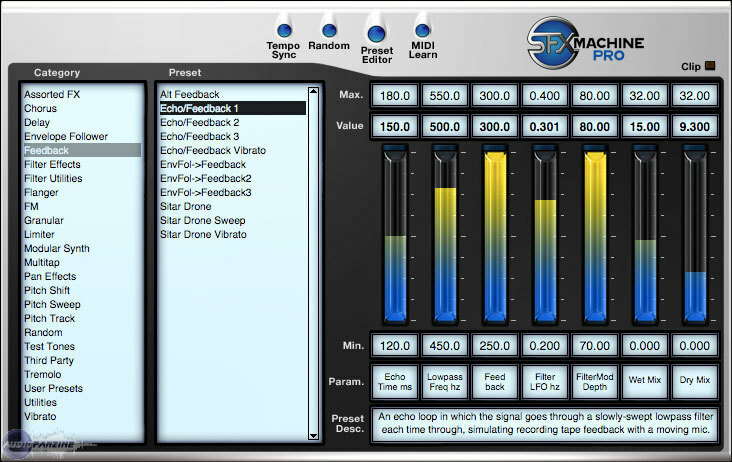 In addition to providing a collection of effects, all of which are easily modified, SFX Machine Pro lets you create your own effects from scratch and also serves as a "Swiss Army knife" of audio utilities. Mellowmuse Mellowhead MellowMuse has announced that Mellowhead, its guitar and fx modeling plug-in, is now available as a VST effect plug-in for Windows.